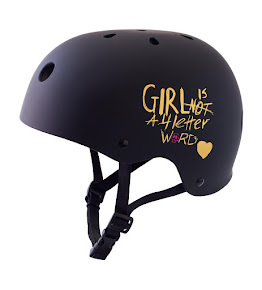 Girl is NOT a 4 Letter Word: Girl is NOT a 4 Letter Word Is Having a Memorial Day Sale! 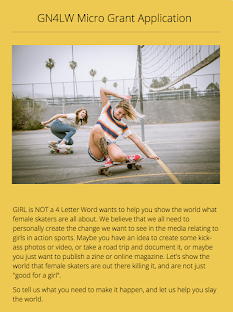 Girl is NOT a 4 Letter Word Is Having a Memorial Day Sale! 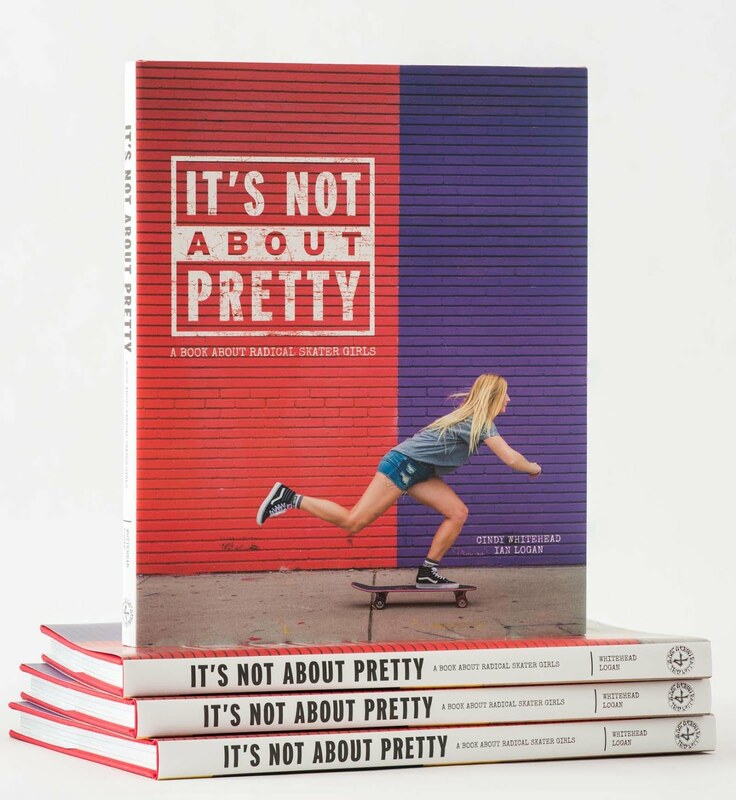 For a limited time only, everything in the Girl is NOT a 4 Letter Word online store is 20% off for our Memorial Day Sale! Use Code SHOP20 at checkout to save! 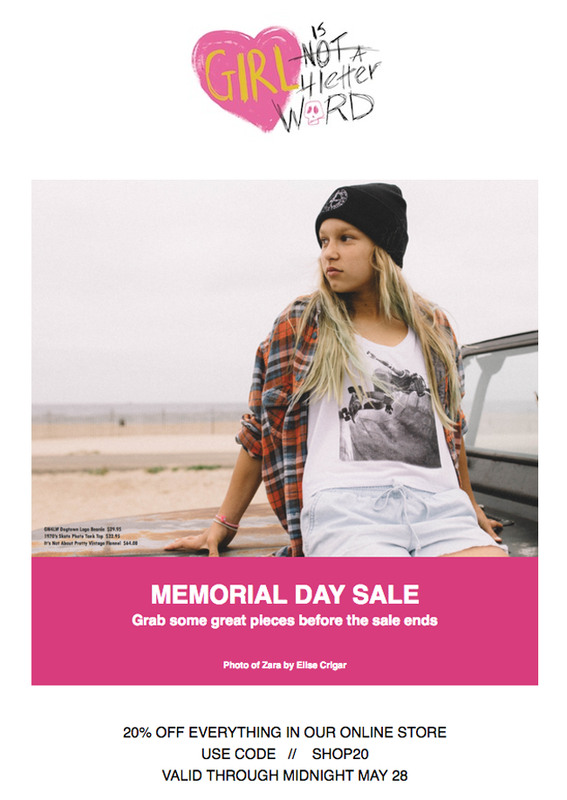 EVERYTHING is on sale - so grab your favorites while you can, because this rad sale ends at midnight on May 28! 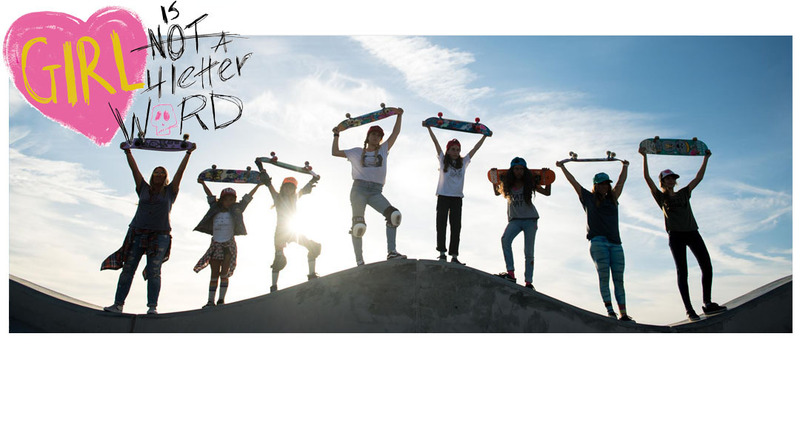 And thanks for supporting girls skateboarding - all proceeds from our products go back into girls skateboarding via micro-grants, partnerships, events and select 501c3 non profits we support, so we can together encourage and support more girls to get on a board.